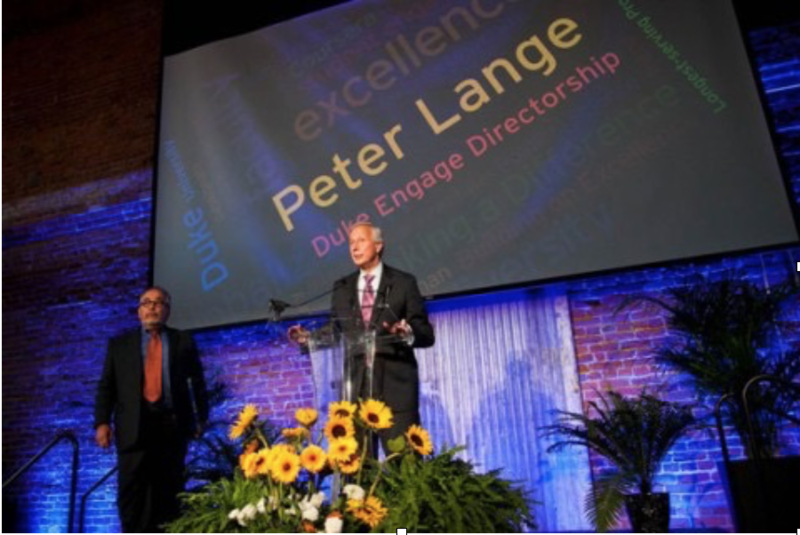 Retiring Provost Peter Lange is being honored by an anonymous $4 million gift that is endowing the DukeEngage directorship in his name. The gift announcement was made at Lange’s retirement party April 25. DukeEngage was developed during the 2006-07 academic year by a task force convened by Lange to envision a way to integrate civic engagement into the undergraduate experience. DukeEngage was launched in the summer of 2007.